This build is optimized for Battlegrounds but also works in Cyrodiil. 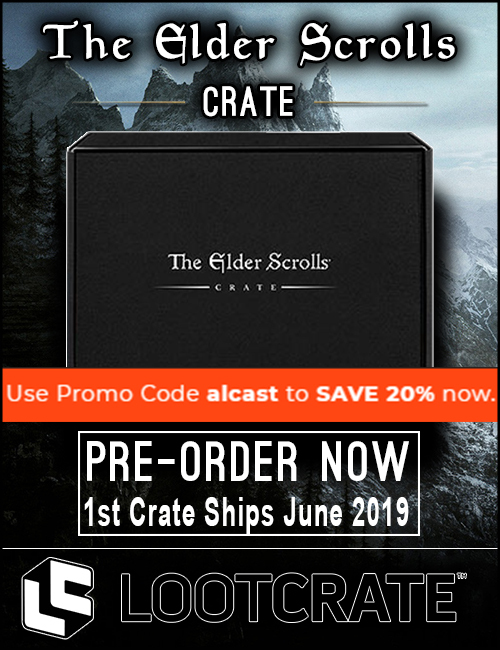 We are using Shacklebreaker, Valkyn Skoria and Bright-Throat’s Boast in combination with Witchmother’s Potent Brew. Those sets will give us overall very good stats for all three resources and will make it easier to sustain and manage your stamina to CC break. The setup has very good AoE and Single Target damage and can pretty much obliterate any setup. We also do have very strong healing which can help us and the group. If you want you can choose another Monster Set, Valkyn is my favourite because it deals a lot of damage and gives extra health, but pretty much every Monster Set will work. Our S&B Bar is for defensive situations whereas our Destruction Staff bar is for offensive situations. This build was added with the Wrathstone DLC. Channeled Focus is your main resource for magicka, make sure to keep it up a 100% of the time, it also gives you a lot of resistances which makes you tankier. Tri-Stat Potions are also very important, they can save you because they give a lot of health, magicka and stamina back with one button press. Make sure to save the potion for a tough situation. 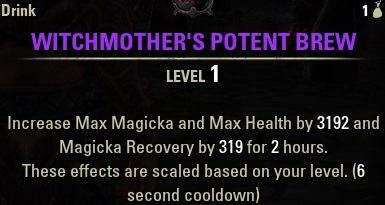 We are combining Witchmothers Potent Brew with Bright Throat’s Boast to gain a lot of max magicka and magicka recovery, so you NEED to run the drink I listed below in the important section. You also have the option to use heavy attacks with your Shock Staff to restore resources. Second Picture: Buffed with Tri Stat Potion, Channeled Focus and Major Sorcery. Note: Keep in mind, I had purple armor and jewelry and gold weapons. I also did not have all optimal traits on armor pieces, instead of 5 Impenetrable, 2 Well Fitted, I had 4 Impenetrable, 1 Infused, 1 Sturdy, 1 Well Fitted. You can either run 3 Arcane or 1 Arcane and 2 Protective traits on the jewelry. Protective jewelry in general is very strong and makes you way tankier, therefore I can recommend it. Monster Set: I prefer Valkyn because it deals good damage and also gives me a health bonus. However, if you want to use another Monster Set then go for it. 5/2 Setup: We are using 5 Heavy and two Light Armor pieces. Bright Throat’s only drops in light armor, so we need to have two Light Armor pieces (Belt and Shoes). Destructive Reach: This is our main CC ability, it stuns the enemies for a brief second and deals decent damage. Elemental Blockade: Make sure this is always present on the ground when fighting, it deals a lot of damage and has the chance to concuss enemies. I also use this abilities against Nightblades to prevent them from cloaking. Puncturing Sweeps: One of our strong AoE attacks that heal us while we deal damage. Radiant Glory: Our main execute ability aka Jesus Beam. Finishes off most enemies, can also be used from far away as it has a huge range. Structured Entropy: This gives us more max Health and also gives us Major Sorcerery, increasing our Spell Damage by 20%. Shooting Star Ultimate: This is your offensive ultimate, it costs quite a bit but if you can hit an enemy with this while he is stunned it will deal a lot of damage. Extended Ritual: Very strong ability, can cleanse up to 5 negative effects away. Reflective Light: This is one of our strong DoTs (Damage over Time) that we want to keep on the enemy all the time, it hits really hard and it also snares the enemy. Honor the Dead: This heals for a lot and if we heal someone below 75% health we will get 60% of the cost back! 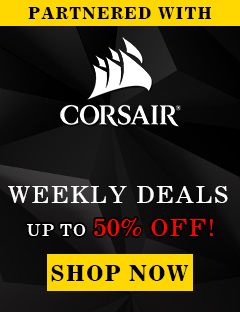 Just keep in mind spamming this will consume a lot of your magicka, so be careful. Solar Barrage: Keep this up, it is a small AoE DoT and also applies Empower (40% more damage) to all your Light Attacks. Channeled Focus: Needs to be on the ground all the times because it gives you the spell and physical resistance buff and also increases your magicka sustain. 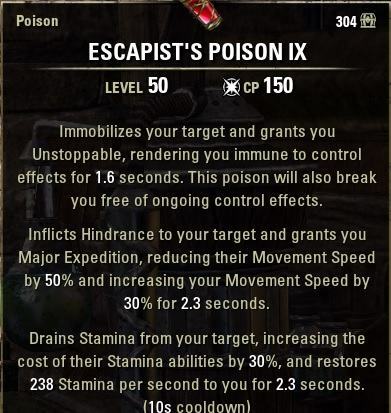 Remembrance: In case you are in trouble, make sure to use this ultimate, it heals for a lot and boosts your resistances. Puryfing Light: You also have the option to use Purifying Light instead of Solar Barrage. This ability is undodgeable and unblockable and deals a lot of damage against a single player. Blazing Spear: You can use Blazing Spear as a stationary defense ability instead of Solar Barrage, if enemies stay in it they will get a lot of incoming damage, thus making it hard to reach you unless they want to tank the damage. In case you want to use this build in Cyrodiil, I can recommend these Champion Point setups. I will be explaining a few important things in this section of the Magicka Templar Damage PvP Build. You NEED to use Witchmother’s Potent Brew, otherwise we will not benefit from the effect from the Bright Throat’s set. In terms of race you have a few options. High Elves are my favourite because they get 5% damage mitigation when you channel an attack (Puncturing Sweeps, Radiant Glory) and they get a lot of max magicka and max spell damage on top of a bit stamina return from their passives. Bretons and Argonians also work well due to their passives. You can find a full list of all racials in my racial passives article. 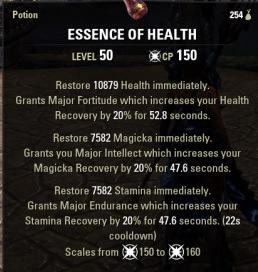 I do recommend using Tri Stat Potions as we really need all Stamina and Magicka we can get, to help with sustain and also blocking. Make sure to run poisons on the S&B bar, those poisons help root the enemy and also drain stamina. 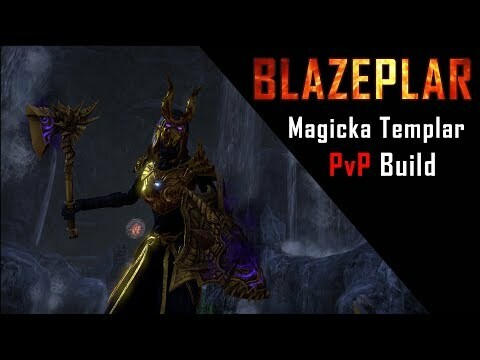 Full Build Video of the Blazeplar Magicka Templar PvP Build. 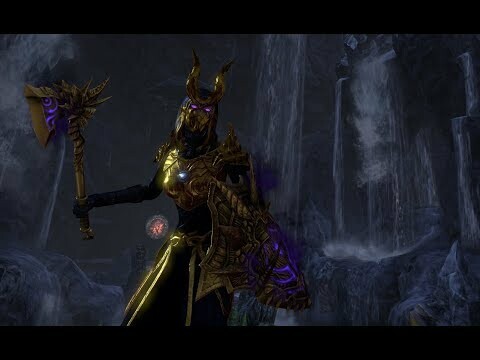 Deathmatch Battlegrounds Magicka Templar Blazeplar Gameplay.